The University of Cambridge has condemned the “extreme online abuse of our students” following targeted national media coverage of a proposed amendment to a CUSU Council motion on Remembrance Day. We understand issues like these provoke strong views but we condemn the extreme online abuse of our students. The amendment proposed “to encourage the commemoration of those whose lives have been affected by war across the University of Cambridge” in place of a motion to commemorate British war veterans on Remembrance Day. 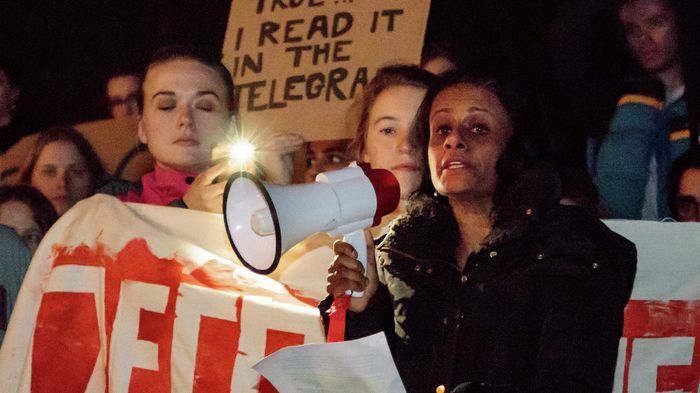 The debate was reported in Varsity on Tuesday evening, and has since been covered in the Daily Mail, The Telegraph, and The Times, sparking widespread online attacks and trolling, particularly of the students involved in opposing the motion. The Daily Mail and The Telegraph picked out a picture from Facebook of one of the students, who proposed the amendment. A University spokesperson elaborated that its Breaking the Silence policy states that “There is no place for any form of harassment or sexual misconduct at the University of Cambridge”. The University was criticised earlier this year for “not address[ing] the libellous charges” in a Daily Mail piece which called Churchill academic Dr Priyamvada Gopal “a racist” and a “prolific internet troll” for her use of social media.